Skopje’s weekly newspaper, “Zaman”, which circulates in the Turkish language, announced today that it is refusing the financial assistance from the government of fYROMacedona, in the framework of the country’s subsidy program. The announcement was preceded by a strong reaction from the Turkish embassy in Skopje, which considered the decision of the government to subsidize, among other things, a newspaper which, according to the Turkish embassy’s claims, is linked to the network of Fethullah Gullen. “We consider the decision of the government of the Republic of Macedonia to provide financial assistance to a FETO newspaper scandalous and unacceptable. We expect the government to reconsider its decision”, says the statement issued by Turkey’s Embassy in Skopje. 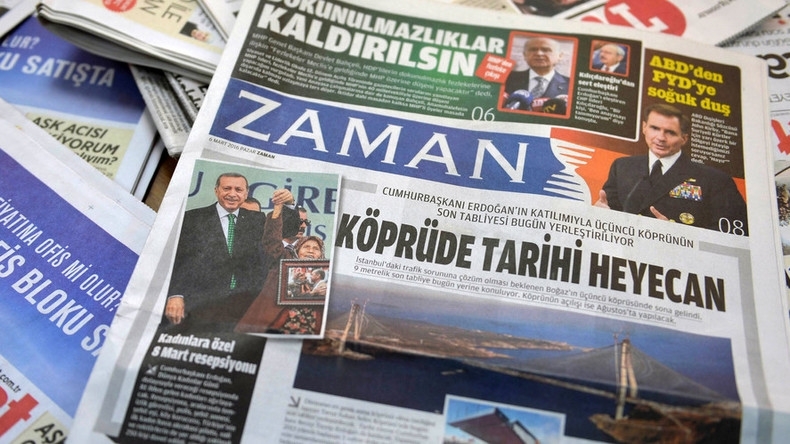 Immediately after the announcement, “Zaman” expressed its regret for this reaction by the Turkish Embassy in Skopje and noted that the Turkish Government’s allegations of the attempted military coup in Turkey in 2016 are completely absurd. The newspaper made known that because of the negative campaign against it and in order to preserve its prestige, it denies the financial assistance it received from the government of fYROMacedonia. Attacks against Zaman were also condemned by the Union of Journalists of the fYROMacedonia.